The company was reportedly planning to sell part of its gas station network in the face of the unstable market situation. The situation in the fuel retail segment is so dire that even market giants are pulling out from the filling business. 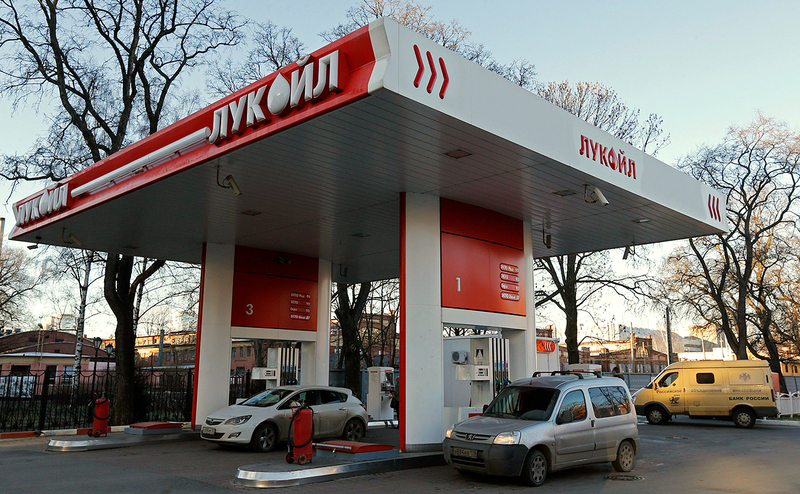 Russia’s biggest oil company – LUKoil – could sell up to one third of its nationwide gas station network, according to gazeta.ru (in Russian). The global oil producer is also reportedly likely to close down filling stations in the Moscow, Tula, Orenburg, Vladimir, and Bryansk regions, as well as in the Republic of Chuvashia. LUKoil is understood to operate over 2,500 gas stations in Russia, controlling 21 percent of the market in the regions in which it’s present. "The company is now looking for a suitable buyer to approach," the source quoted by gazeta.ru said. "The plan is to find long-term investors in Russia. Failing that, LUKoil will look to China or the Middle East." The source also explained that the company's move is linked to the unfavorable market situation in a number of Russia’s regions. No target selling price was named, but it’s understood that LUKoil is not planning to sell short. The company’s press department chose not to comment. Earlier, the Interfax news agency reported that the company was indeed planning to sell part of its gas station network in the face of the unstable market situation. LUKoil's Q1 2017 net profit generated by its filling business is understood to be close to zero. "Their current profitability stands at eight roubles [$0.14] per ton, compared to 2,000 roubles ($35) in 2016," the gazeta.ru source pointed out, adding that the situation could be rectified if LUKoil hiked gas prices five roubles ($0.9) per liter – but the company will not do this. Non-fuel commodities sold through the network are apparently not going to save the situation either. Thomson Reuters reports that in early 2016, when a barrel of Brent crude sold for $30.5, the wholesale price of Premium 95 gasoline was at around 33,000 roubles ($579) per ton, and the brand would retail in Russia for 36.89 roubles ($0.64) per liter on average. By March 2017, Brent had risen to $51.74 per barrel, driving the wholesale price up to 40,980 roubles ($719) per ton and the wholesale liter to 39 roubles ($0.68). This means retail fuel prices have increased by around 5.7 percent since early 2016, whereas the wholesale prices have risen by over 24 percent. Not forgetting the volatile nature of the oil prices, which have been rising and falling violently. Incidentally, LUKoil once supported a prolongation of the crude extraction curbing accord signed by OPEC and 11 independent producers (including Russia) in late 2016. The idea was that the agreement would help stabilize and even boost oil prices, and this was what happened initially. Then, however, oil prices fell off once again due to growing U.S. supply. "The gas business is living through very difficult times," says Yevgeny Arkusha, president of the Moscow Fuel Association. "The current situation is bankrupting businesses. Now that LUKoil, a big company, is unhappy you can imagine how independent providers feel about it." Arkusha added that gas stations are forced to keep their prices below the inflation rate: "This is very good news for motorists but devastating for the stations. Retail trade in fuel is bringing ever more losses to vendors." He suggests that allowing gas stations to trade in alcohol again would help keep their profits up. A relevant bill was submitted to parliament in January. However, some experts believe this would lead to a rise in drink driving.